After my midlands double on the train on Saturday, it was back off up to the same area for my midweek game, only this time in my more usual transport method of the car, and back with fellow groundhopper Anwar. I had chosen this over staying in and watching England's away game in Ukraine. It would be far healthier getting out in the fresh air than it would be sitting in and drinking the required amount of alcohol to make watching Adrian Chiles tolerable! 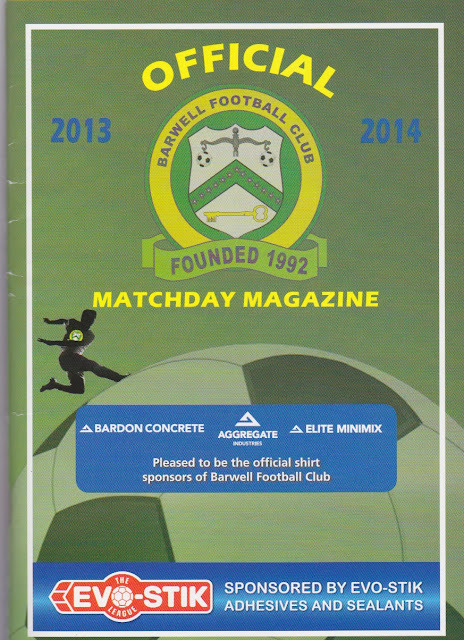 I had chosen Barwell as it was one of the nearest grounds that I hadn't done, that had a game on tonight. I hadn't seen the home side before, but I had been to their ground on the way back from a weekend away up north. They were in the Midland Alliance at the time and the ground was pretty decent for that level so it would be interesting to see if it had changed much. As for Stamford, I had seen them defeat Chasetown in last seasons playoff final, hence their appearance in this league after their promotion from NPL Division 1 South. They had deserved the result on the day that I had seen them, and it had been a traditional ground with a nice, pleasant town nearby. A Worksop fan said they had looked good against his team on Saturday, as they had only lost out on a win by a last minute penalty from Worksop to equalise. But they had not been getting the results this season and sat just above the relegation zone. Barwell were 5 places higher in 14th, with 3 points more than the visitors. 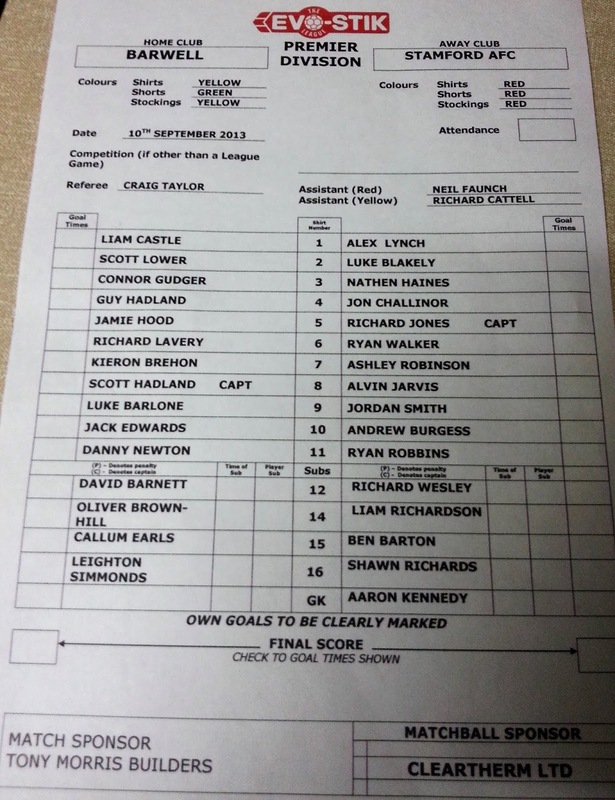 They too had been involved in a 2-2 draw, in this case at Whitby, and for the neutral, a similar result would be welcome for tonight's game. As usual, I had the day off on Tuesday and so went down town for a bit, amongst other things. I left home at 3.45, meeting Anwar in Aylesbury at 4.15. It was a fairly traffic free journey and we got there around 6.10. 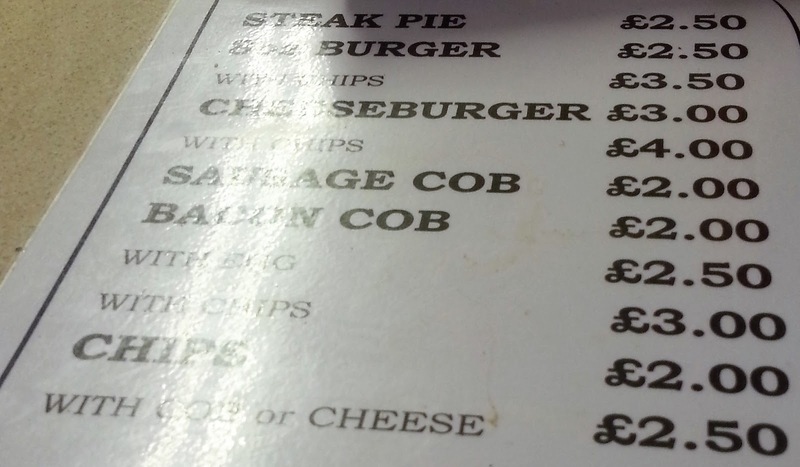 I had done my research beforehand and knew that the village centre was just under half a mile away. For such a small place, with under 9000 population, it had an excellent range of takeaways. For the second Tuesday in a row, I opted for a curry, this time from a place called Raihan's. In this case, it was a Chicken Raza, a hot and sour dish with onions. Together with boiled rice, it was only £6.85, which I thought was pretty good value and very nice it was too. As they didn't fancy us eating our dinner in the shop, we took it back up to the ground and eat it at a table outside the clubhouse. I had had the foresight to bring my own plate, knife and fork to make eating it as easy as possible. I learned during the evening that former England and current Sheffield Wednesday keeper Chris Kirkland grew up in the town, and opened their new stand in the early 2000's. But my favourite fact was one I found on Wikipedia after getting home. Barwell and neighbouring Earl Shilton was the site of a meteor event when, on Christmas Eve 1965, the villages were showered with fragments, from an object about the size of a traditional Christmas turkey. No one was hurt, although some minor damage to buildings and property occurred. One meteorite went through the front of a car, destroying the engine. When the owner of the car attempted to claim on his insurance company, they replied that it was an "Act of God" and would not pay. Outraged, the owner went to the priest of the local church and asked for the money, saying "If it was an Act of God, the Church should pay for his car." The owner never received any money to repair his car. We finished our dinner and got my things from the car. 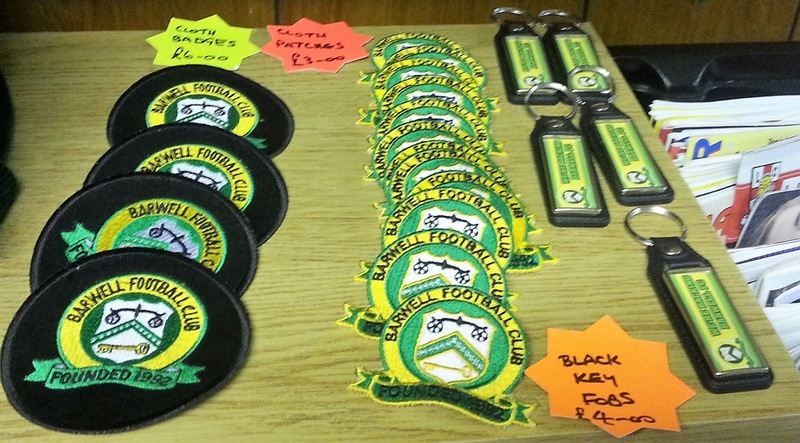 We got into the ground at around 7.15 and I was pleased to see that they had a club shop. It was a good one too with a great selection of books, programmes and badges from around the country. Nothing that I fancied, however, so I just settled for a pen for £1 and an Evo-Stik League mug for 50p. We then took our seats at the top of the impressive stand, which offered a great elevated view, not usually on offer at this level. It was a decent game all in all. The only goal of the game came on 29 minutes when Danny Newton's good run and shot from the outside of the area found the back of the net. There were plenty of chances for both sides to score, but neither could. 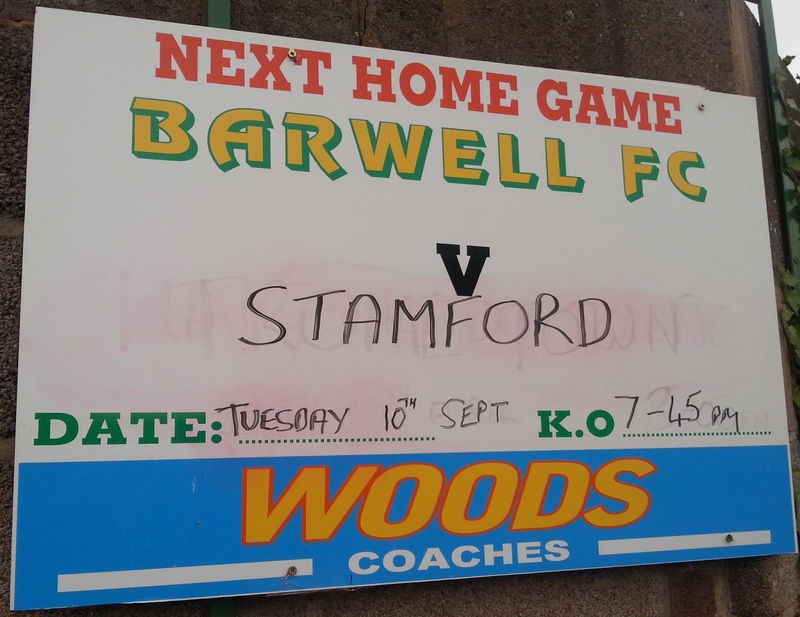 Stamford thought they had an equaliser right on full time, but it was disallowed by the referee. 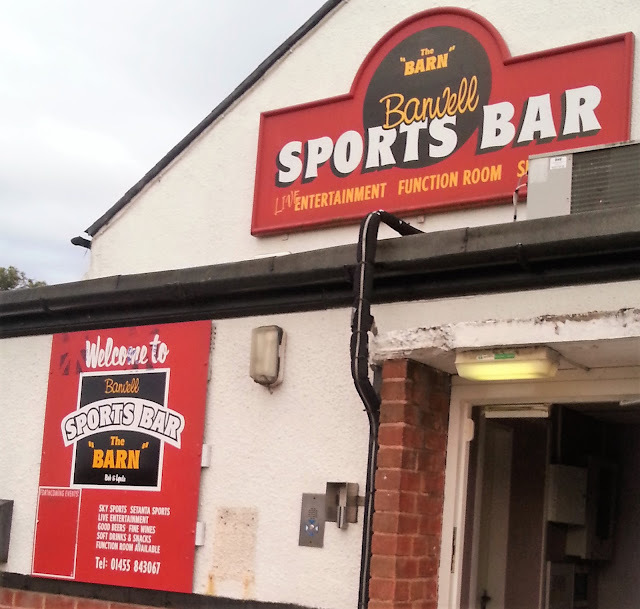 It had been a good night at a friendly club too. There was quite a lot of injury time, so we didn't leave until 9.45. After stopping for petrol, I switched onto TalkSport and listened to various people moaning on about England's 0-0 result in Ukraine. I was glad I didn't stay in and watch it, but a point away at a similar level team to ourselves is decent. People talk as if England are one of the top teams, but far from it. We are stuck in a pool of mediocrity, along with sides such as Norway and Denmark. We have no world class players, and until the Premiership starts looking at the bigger picture rather than focusing on making its clubs richer, it will stay that way. There are no world class players, not at international level, especially the overrated and overhyped Wayne Rooney. The reason - too many average foreign players in the league. For every Van Persie or Ozil, there are a hundred average foreign players hindering the progress on home born players. It was an even quicker drive home that getting there, and after dropping Anwar off, I was back home by 11.30. I didn't feel tired at all and so stayed up and watched TV until after 1, not the greatest thing when you are up at 4am the next day. KIRKBY ROAD SPORTS GROUND has not changed much since I visited it in their Midlands Alliance League to take pictures. Though this is not a problem as it was pretty decent then. The main stand holds 256 supporters but looks a lot bigger than that due to it's height. There is a bit of cover beside it, and also a further bit behind the goal, probably keeping another 300 fans under cover. The rest of the ground is open standing. 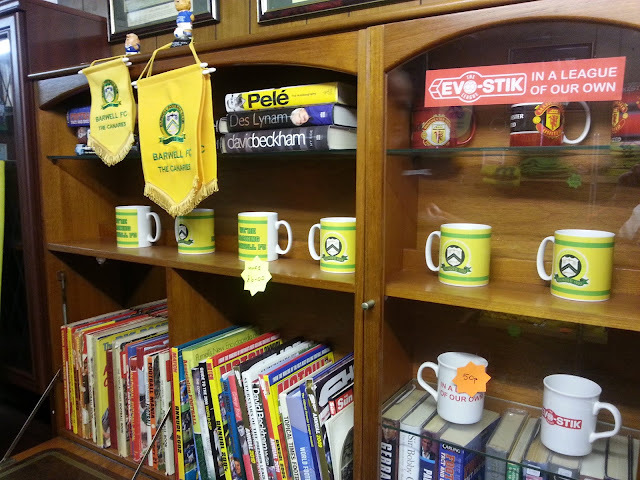 As mentioned already, the club shop is excellent, though I didn't try the clubhouse or tea bar tonight.